Recording sessions for director Terence Murtagh's new film, UNSEEN UNIVERSE, took place today at LA East Studios in Salt Lake City, Utah. The original score was composed and produced by Chance Thomas. The new film is a full dome show in 8k. Music for the score was performed by the Utah Film Orchestra. Sessions were tracked by engineers Glen Niebaur and Chase Taylor. Composer Chance Thomas has been selected to create the original music score for WARHAMMER: Chaosbane, the latest installment in the Warhammer fantasy franchise. Working with European game audio powerhouse G4F and French developer Eko software, Thomas is hard at work on a dark, sprawling and foreboding score for the new title. Music will be performed by the Utah Film Orchestra and Choir. Sessions will be recorded at HUGE Studios Post Production in Salt Lake CIty, Utah. 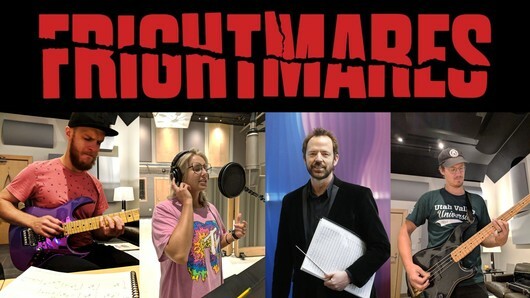 Meet the music team behind the new FRIGHTMARES show, opening next month - guitarist Nick Petty, singer Amy Lynn Whitcomb, composer and music producer Chance Thomas, and bassist Stuart Maxfield. Valve published the new TI8 release for Defense of the Ancient (aka, DOTA 2) today featuring a brand new music score by composer Chance Thomas. 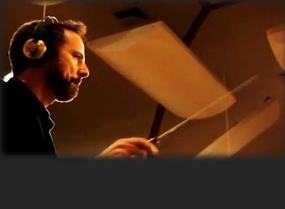 The new score combines orchestral music with rock, synthesis, and hybrid percussion. 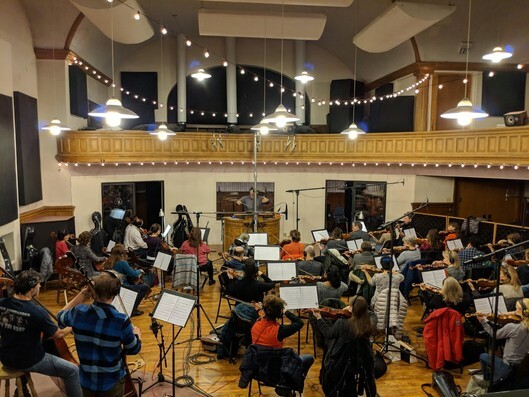 The score was recorded at HUGE Studios in Salt Lake City. Featured performers included Jenny Jordan on vocals and Nick Petty on guitar. 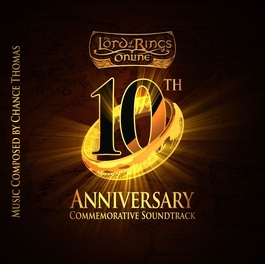 HUGEsound Records has released The Lord of the Ring Online: MORDOR original music soundtrack, composed and produced by Chance Thomas, through all major digital music outlets worldwide. "Mordor is a terrifying place," says Thomas. 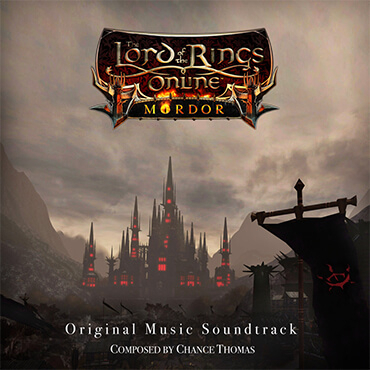 "This score is definitely darker and more martial than my previous LOTRO music. But it's still Tolkien. There is a sense of reaching for light beneath the oppressiveness, threads of beauty and strength, even in the midst of overwhelming shadow."